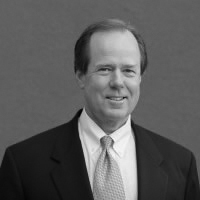 Scott Cahill is a Managing Director of Fulcrum Partners Orlando and is one of the founders of Fulcrum Partners LLC. Over his more than 30-year career, he has specialized in the efficient design and funding of executive benefits for corporations and estate tax liabilities for wealthy families. His expertise includes strategic integration of compensation and benefits for the top talent at client companies. The result is a comprehensive and effective total rewards structure. He also consults with medium to large private organizations on business succession and ownership transition challenges. Scott serves on the Advisory Board of the National Christian Foundation (Orlando) as he looks to see the city where he grew up and has now raised his own children become a generous, giving community. Scott and his family have been active participants and financial sponsors of the Luis Palau Association outreach to sponsor evangelical initiatives to encourage and equip cities around the globe. Scott Cahill is affiliated with Valmark Securities, Inc. Securities offered through Valmark Securities, Inc. Member FINRA/SIPC. Investment Advisory Services offered through Valmark Advisers, Inc. a SEC Registered Investment Advisor. 130 Springside Dr., Akron, OH 44333. 800-765-5201. Fulcrum Partners LLC is a separate entity from Valmark Securities, Inc. and Valmark Advisers, Inc.
Scott and his family have been active participants and financial supporters of the Luis Palau Association as sponsors of the city-serving evangelical outreach in the U.S. and around the world. You can read more about the Cahill’s commitment to the Luis Palau Association here: Creating Meaningful Change, Scott Cahill and What Does it Take to Change a City? Scott and his wife Joanie have played an active part in the start-up of the inner city church, Rock Orlando, Inc. This ministry serves the youth in Orange County Florida through Saturday afternoon events and worship. Scott is an Advisory Board Member for the National Christian Foundation/Orlando, as he loves to see the community in which he grew up become a generous giving place to live. Email Scott Cahill of Fulcrum Partners: scott.cahill@fulcrumpartnersllc.com.